In Boulder, Colorado, Spruce Confections has been making everything entirely from scratch by hand daily since 1992. We are proud to make everything in house every day using great ingredients before your eyes in our open kitchens. Known to locals for our exceptional scones, handmade pastries, small batch soups, elegant birthday cakes, cupcakes, Kaladi coffee and more; we always strive to improve our offerings and create a space for the community to connect. A long-time Spruce favorite, made with fresh-ground toasted almonds. Plenty of chocolate taste, yet light-textured enough to have after a big meal. Chocoholics, stop here! Fudgey, rich and intense, like a brownie. (With cream cheese lemon frosting) This fragrantly spiced, award-winning cake was featured at the 10th anniversary of the Boulder Farmer's Market. Light, moist cake; perfect with all buttercream flavors. 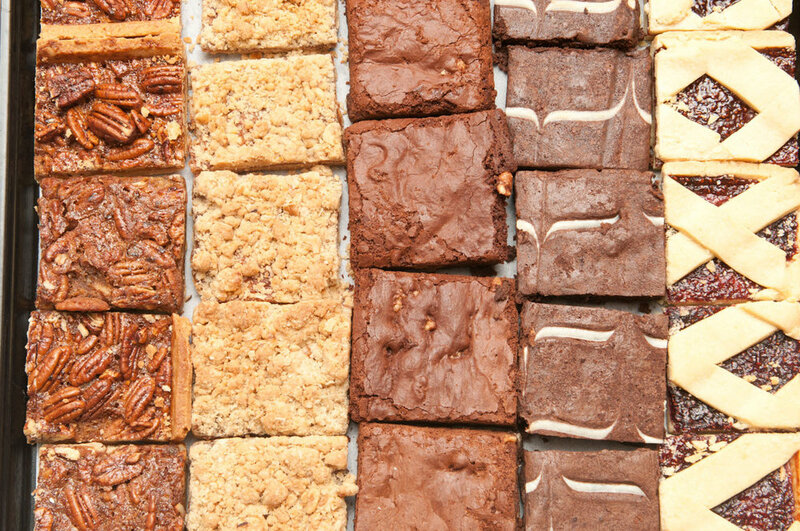 Instead of a cake, order six or more of the same type; or we will put together a baker’s choice assortment for you. Like a giant truffle: nothing to come between you and your dark chocolate except butter & eggs. Frosted with Chocolate Ganache. Sublime. We crush our own shortbread cookies for the crust, and top with your choice of Chocolate Ganache or classic Sour Cream, or house-made Raspberry Jam. 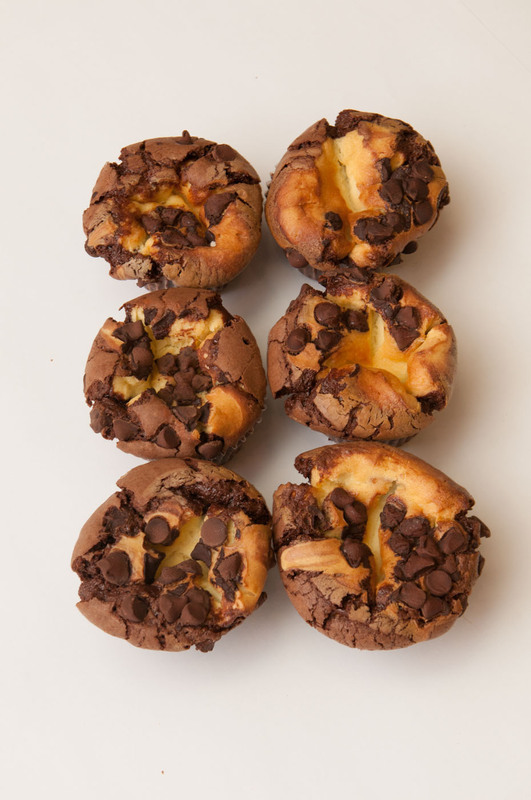 Justly famous, plush and decadent: our dense chocolate cake and cheesecake batters swirled together and topped with chocolate chips. If you're a coffee shop owner in the Boulder/Denver area, please drop us a line to see if Spruce would be a good fit for your baked goods and savory offerings. We are always searching for the best people to join team Spruce! We are fortunate to have the opportunity to make everything from scratch. From the meticulously hand-shaped croissant to our daily soups and carefully extracted espresso drinks our hands and hearts are engaged. 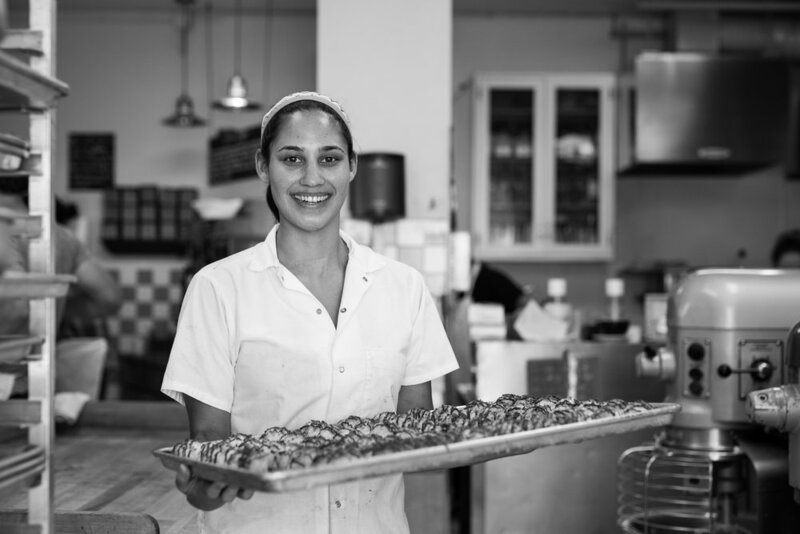 If you possess attention to detail, experience, a positive community-oriented attitude and a desire to learn, please consider becoming the integral staff of Spruce Confections. 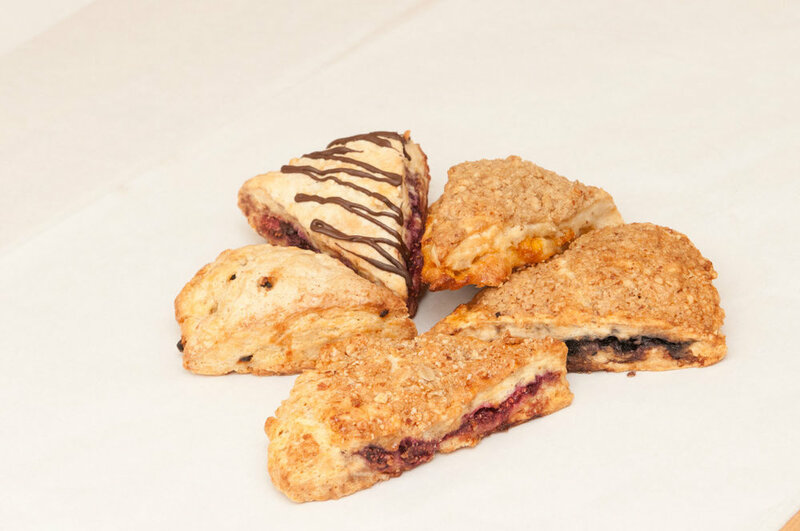 Each morning we bake varieties such as blueberry maple pecan scone, raspberry honey almond scone, and banana bran millet muffin. We have a daily gluten free scone. We dedicate a lot of time creating croissants. Some of our varieties include plain, chocolate, almond, ham & gruyere. Our croissant dough is so delicious and versatile we use it for several Danish pastes as well such as cherry cream cheese and our cinnamon pecan schnecken. Available seasonally and for special orders. 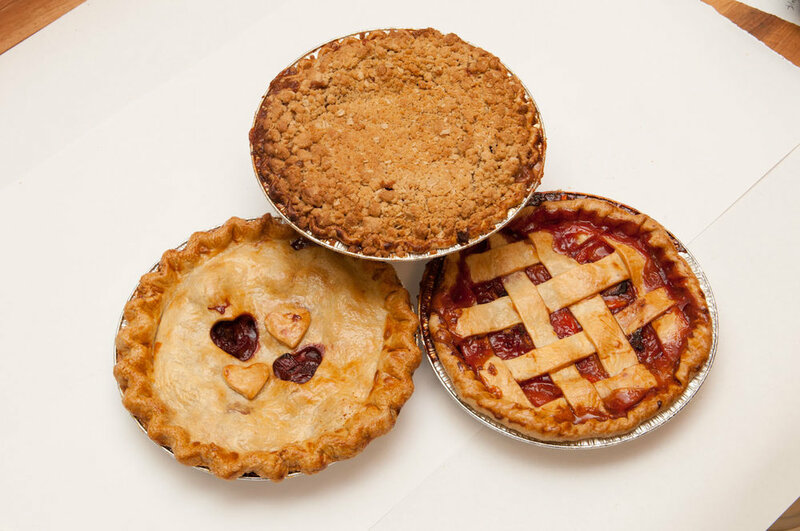 pecan, chocolate pecan, apple crumble, tart cherry, and more. We put out a veggie and meat variety each morning. Our grab-n-go sandwiches are made daily entirely from scratch on our own breads. Made on Spruce croissants with fresh eggs. Veggie and meat varieties each morning. Small Batch and unique! Veggie and meat varieties each morning. Small batch soups loaded with goodness and made with care. Loaded with organic greens and various veggies and proteins.